Summer beers in Hawaii…Isn’t it summer year round in Hawaii? Yes, we are fortunate to have amazing summer-like weather almost year round here in Hawaii, but we still look forward to those searing summer days cruising at the beach. Summer also means new seasonal beers that are perfect for bbq’s, the beach and chilling with family and friends. Here’s a list of some of our favorite beers to enjoy during the summer months. Many of these beers are only released once a year, so make sure you give them a try while you can. Goose Island Summertime Kolsch – A German style Koslch beer that is perfect for sun filled days at the beach in Hawaii. Kolsch is a style that is becoming more popular and is traditionally served in a tall slender glass. This version is clean, crisp and makes you want to take another sip. Just what you want in a summertime beer. Aloha Organic Agave Lager – Brewmaster Dave Campbell uses 100% organic ingredients to brew this crisp and effervescent lager. The agave nectar used lends a touch of subtle sweetness and a very dry finish, making this a perfect partner for summertime grilling. Swing by ABC to fill up a growler for your next get together. Maui Lemongrass Saison – Saisons are the original summertime beer and Maui’s collaboration with The Lost Abbey incorporates a local twist with the addition of lemongrass. The lemongrass adds a hint of citrus punch and pepper that is complemented well with the use of hops like Citra and Nelson Sauvin to create a very drinkable beer. This is another great beer for BBQ’ing and pairing with fresh Hawaiian poke. Be on the look out for 6 packs of these cans statewide. Big Island Brewhaus Graham’s Pilsner – Nothing beats a cold, crisp and light pilsner on a hot Hawaiian day. BI Brewhaus brews a Bohemian Pilsner modeled after the classic Czech style. At 5.6% abv and with a mild hop bite, it’s worth seeking out this craft pilsner if you are on the Big Island. Sierra Nevada Summerfest – This is another Bohemian style Pilsner and is a seasonal release from Sierra Nevada. This year you’ll be able to find it in cans around Hawaii, which are perfect for taking to the beach, on hikes or anywhere else you feel like having a cold crisp beer. Hawaiian Island Brewing Company Mango Wheat – Another great beer from one of our local breweries. This American style wheat beer is infused with real mangos to give it a pleasant fruit and citrus flavor. The mango flavor is subtle and served cold this is a great afternoon chill beer. Available on draft only or fill up a growler at HIBC and take it to go. Kona Brewing Lemongrass Luau – Lemongrass is a popular ingredient for Hawaiian brewers. 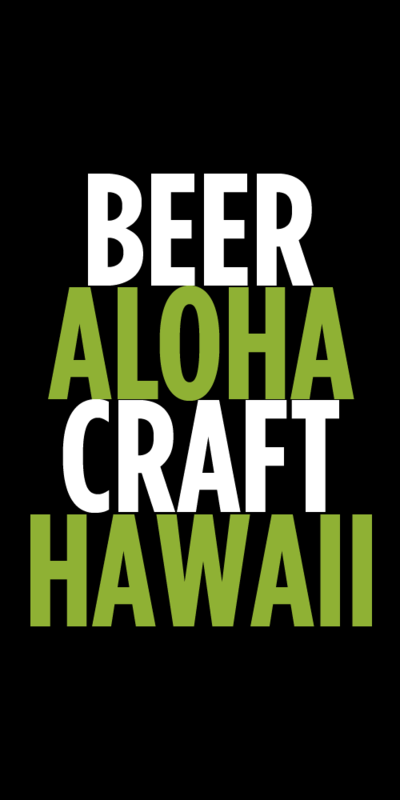 Kona Brewing makes this 5.8% ABV blonde ale with Maui sugar, local ginger and lemongrass. The lemongrass is noticeable and provides a nice zing to this clean and refreshing light ale. Another great beer to pair with your summertime BBQ’s. You’ll have to look for this beer at your favorite bar or Kona Brew Pub because it’s only available on draft! Anchor Summer Ale – This seasonal release from San Francisco’s iconic Anchor Brewing is an American Wheat beer that has been filtered, so it is super clear. At only 4.5% abv, it’s a great beer for quenching your thirst after a good game of beach volleyball. It’s super smooth with light fruit characters and finishes crisp…so you’ll want to take another sip! 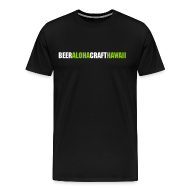 Tags: Aloha Beer, Aloha Brewing Company, Anchor, big island, Goose Island, Hawaiian Islands Brewing Company, Kona Brewing Company, Lists, Maui Brewing Company, sierra nevada, Summer Beers, try this beer. Bookmark the permalink.